Nottingham is synonymous with miniature painting, from Games Workshop’s mighty armies and multi-part kits, to the bespoke models produced by smaller companies around the city. This short course is designed to help hobbyists develop their miniature painting and reach the next level of confidence and ability, regardless of the theme or style of miniatures they work on. The course is very practical, with plenty of hands-on painting projects, demonstrations and one-to-one tutoring. However, each new approach and technique will be examined at a theoretical level to begin with, asking and answering ‘why’ as well as ‘how’ it is useful. You will then learn about project preparation, ensuring your models will look the best they can, even before you apply paint. Familiarity with miniature painting is helpful but not essential. The course is designed so that you can develop at your own pace - any level of painter can learn and improve. Practice models will be provided, but you’re welcome to bring unpainted miniatures of your own to work on. You will leave with the knowledge, confidence and techniques to improve your painting and continue to develop with each new project you undertake in the future. Tutor profile: James Griffiths has been a passionate hobbyist for more than 25 years, designing, building, converting and painting fantasy and sci-fi miniatures, armies, terrain pieces and dioramas. 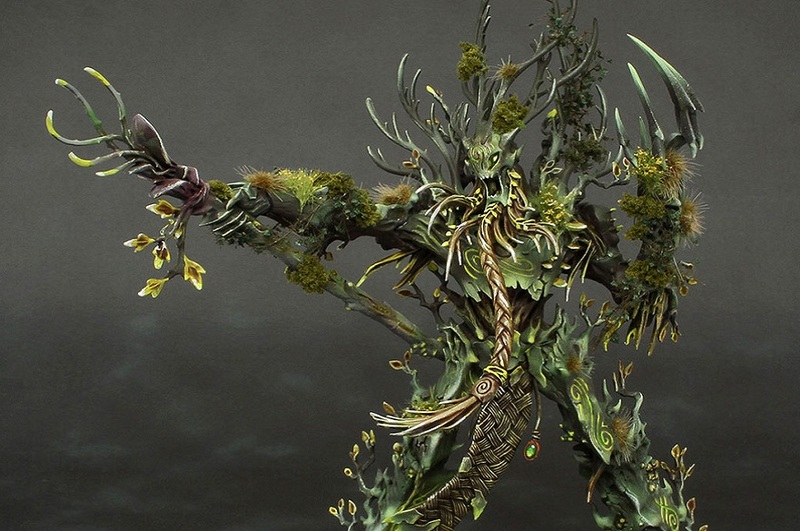 He moved to Nottingham and worked at Games Workshop, before leaving to become a freelance miniature painter at his own workshop. James is an experimental and commercial painter; he loves to explore new approaches to model painting, and find new ways to express himself and individualise his work. learn from the work of others, both miniature painters and artists in other creative fields.